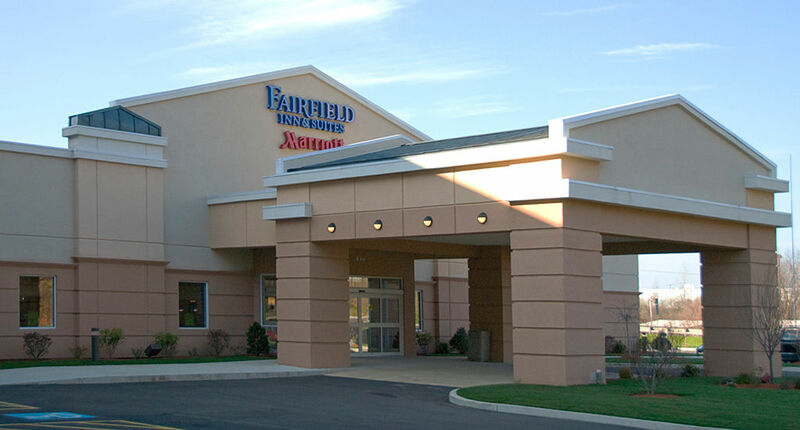 Steps from the Connecticut Commons shopping center and less than a mile from Interstate 84 on New Britain Avenue, Fairfield Inn & Suites puts the best of Plainville within easy reach. As one of the top-rated hotels in the city, you can always count on comfortable accommodations, spacious rooms and pampering amenities. Each day starts with a complimentary breakfast. You’ll also find an indoor pool, sports bar, on-site dining and a fitness center to provide a variety of ways to enjoy free time during your stay. Sometimes you don’t need an endless list of luxuries or rooms that rival apartments. If you’re looking for a cozy place to spend a few nights that will go easy on your budget, Advance Motel on New Britain Avenue is an excellent choice. This classic motel features parking right outside your room and a great location for exploring local shopping and dining options. With only 18 rooms, you can escape the crowds of popular chain hotels and enjoy a quiet evening at the end of a busy day in the city. Less than 10 minutes south of Plainville, Motel 6 Hartford – Southington offers the chain’s famous blend of comfort and value. Clean, modern rooms offer a variety of configurations to ensure a great night’s sleep for solo travelers and families alike. If you’re traveling with family, kids stay free with a paying adult and there’s even pet-friendly rooms to let you bring your pampered pooch along for the journey. Each morning, you’ll find a fresh coffee bar available in the lobby to help you jump start your day. Only four miles north of Plainville in nearby Farmington, Centennial Inn Hotel & Apartments offers a comfortable stay steeped in antique charms and classic refinement. Spacious rooms and suites offer enough room to truly stretch out and relax. For extended stays, the kitchenette efficiencies offer the conveniences of home while on the road. Other amenities include free Wi-Fi, a seasonal pool, valet dry cleaning and a scrumptious complimentary breakfast spread. If you’re looking for a touch of luxury on your next visit to Plainville, you’ll love the DoubleTree by Hilton Hotel Bristol. Less than 15 minutes away, the hotel offers posh, modern styling and gracious amenities that make the hotel a leading option in the region for both business or leisure travel. On-site dining, a sports bar, complimentary business services, state-of-the-art fitness equipment and a heated indoor pool provide everything you need for a relaxing or productive stay. Known for its clean, quiet grounds and friendly staff, Hampton Inn & Suites Hartford/Farmington combines spacious accommodations with prices that will leave plenty of room in your budget as well. Suites are a perfect option for larger travel groups and extended stays. Free breakfast, parking and Wi-Fi add additional value to every stay. You’ll also find an indoor pool with hot tub, a fitness center and an outdoor lounge for enjoying leisurely time right outside your door. Next time you’re visiting the Hartford area, be sure to check out these excellent hotel options just minutes from the city. You’ll also find the location perfect for reaching your local bail bondsman location in Plainville. Don’t want to sit in the hotel room? Night out options are many for Plainville as well!